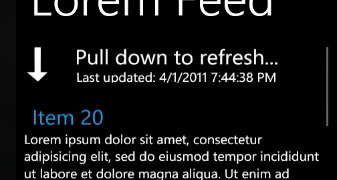 With the recent update of Windows Phone 7, AKA the "NoDo" update, Windows Phone got support for Copy/Paste. 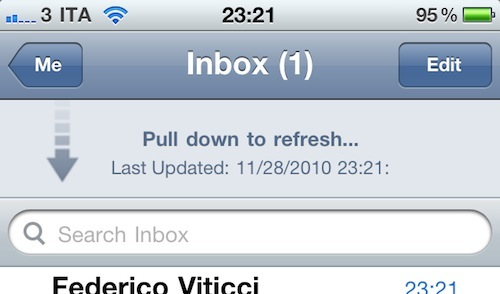 Any existing app out there instantly gets this support automatically, without the developer has to do anything. Note: This approach actually also applies to "normal" browser-Silverlight as well. If you don’t care how this was done, just jump to the bottom to see the result in action, and/or download the bits. 1. Find a way to place an item in this “outside area”. 2. Detect that the user is pulling the list out in this area. Sprinkle a little visual states in that content, and we would be able to change the message when we detect the user has been pulling beyond the threshold. The first thing we do is get a reference to the ScrollViewer and the ReleaseElement during OnApplyTemplate(), and listen to MouseMove (the event that causes the scrolling) and ManipulationCompleted (triggered when the user lets go of the screen). So here’s that this looks like…. UPDATE: If you are using v7.1 (Mango), the above approach will only work if you set ScrollViewer.ManipulationMode ="Control" on the RefreshBox. See herefor details.